DreamFoam and Sleep On Latex are still the top-rated memory foam and latex mattress pads, while SnugSoft is a terrific wool topper. All three improve bed comfort. 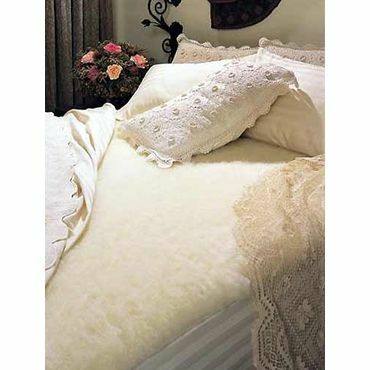 We also name the best featherbeds, fiberbeds and the top mattress pads to protect your expensive mattress investment. 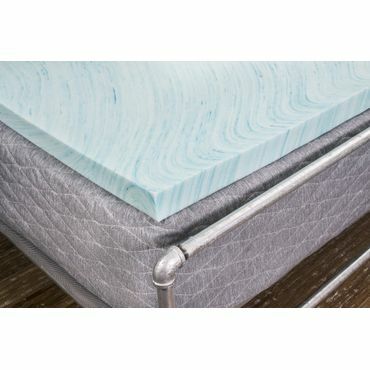 If you want to soften up a too-firm mattress or extend the life of an older mattress, reviewers say you can't go wrong with the DreamFoam 2" Gel Swirl. It gets high marks from reviewers for its comfort, without retaining as much heat as other memory foam mattress toppers. Motion isolation is also reported as excellent. This topper is made from CertiPUR-certified gel-infused memory-foam. It comes with a three-year warranty. Latex is a good choice if you want to avoid the chemicals in foam, and the Sleep On Latex Pure Green 2-inch mattress topper is one of the best. Made from 100 percent natural Dunlop latex, most say it offers great comfort and support, but still responds well to changes in position. The Pure Green line comes in six sizes and three firmness options, as well as three thicknesses. Reviewers love the Natural Baffle-channel Featherbed for its soft, yet supportive properties. 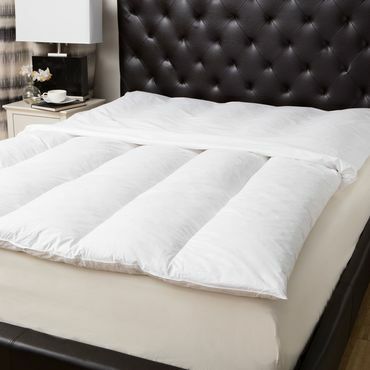 The removable, washable cotton cover makes this a great value, and owners say it has all the comfortable benefits of a featherbed without the drawbacks of sharp or noisy feathers. It comes in twin, queen and full sizes, and is reported as very well-made and durable. We saw very few reports of compression or heat retention. Expert and user reviewers all give the SnugSoft Elite Bed Mattress Cover high scores. They praise its overall comfort and remarkable ability to regulate body temperature, keeping sleepers warm in winter and cool in summer. These mattress toppers are naturally resistant to dust mites, making them a good choice for allergy sufferers. The SnugSoft is 2 inches thick and corner straps hold it in securely place on the mattress. Tens of thousands of happy reviewers say the SafeRest Premium Hypoallergenic Waterproof Mattress Protector is the best waterproof mattress pad you can buy. While it's not a true mattress topper, users say it has enough thickness that it adds to their existing mattresses comfort. 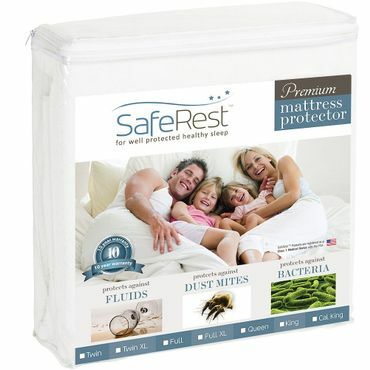 Unlike some waterproof mattress pads, the SafeRest is quiet and breathable. It's also machine washable. This mattress pad comes in twin, twin XL, full, queen, king and California king. This is by far the most popular type of mattress topper, and it tends to be the most effective at improving mattress comfort. Made from polyurethane, memory foam contains millions of open, spherical cells that respond to pressure and heat. It comes in many thicknesses and densities. In general, a thicker topper will have a softer feel, while a denser foam will provide more support. However, memory foam can trap body heat, and some say that the way it cradles the body can make it difficult to move around on. Many memory foam toppers also give off an unpleasant odor when new, although a good airing usually takes care of that. While latex is similar to memory foam, it's made of either natural or synthetic latex rubber -- or a blend of the two. It comes in many grades of thickness and firmness like memory foam, but generally tends to be a bit firmer. It's also somewhat less likely than memory foam to trap body heat and emit an unpleasant odor, although the "new mattress smell" can still be a problem for some users. Latex excels at providing both softness and support and it's a good choice for allergy sufferers because it's resistant to both mold and dust mites. However, latex itself can be an allergen for some people (although that's rare). These used to be among the most expensive types, but the rise in companies that sell online-only latex mattresses and mattress toppers is bringing the prices down so that they've become more comparable to memory foam. These toppers are basically cushions stuffed with feathers or down. They add softness to a mattress, but not much support. While they don't retain body heat as much as foam toppers do, they also tend to compress under a user's weight and must be fluffed or shaken regularly to restore their shape. 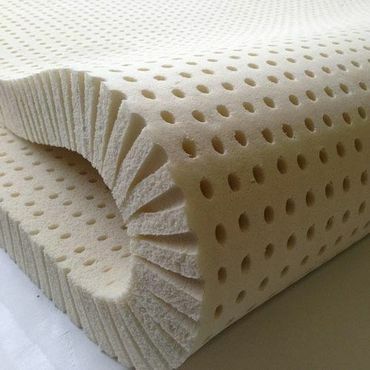 If you're sensitive to feathers, fiberbed and wool mattress toppers are very similar to featherbeds, but are made from hypoallergenic materials. People often use the terms "mattress pads" and "mattress toppers" interchangeably, but they are really two different things. A mattress pad is just a thin pad, with corners like a fitted sheet that go over your mattress to protect it from moisture and stains. Deep-pocket mattress pads can even fit over both a mattress topper and a mattress. Mattress pads are very affordable and there's little variation in quality. With the high cost of mattresses, we highly recommend that everyone protect their investment from spills, stains and other accidents by covering it with a pad. The most common reason people decide to add toppers to their mattresses is to add new life to an older bed. Innerspring mattresses in particular tend to compress over time, losing their ability to shape themselves to a sleeper's body. A mattress topper can add an extra layer of cushioning, relieving pressure points and enhancing sleep quality. However, mattress toppers can't compensate for major problems such as sagging, sinkholes or springs poking through the mattress cover. If your mattress is that bad, you need a new one. We have recommendations for the most popular types in our separate report on mattresses. You'll also want to be sure your bed sheets fit over both your mattress and your topper. And, while you're at it, new pillows might be nice as well. Mattress toppers aren't just for old mattresses, though. People often add a mattress topper to adjust the firmness level of a newer mattress. If you buy a new mattress and determine after a short time that it's too soft or too firm for your taste, adding a topper can make it softer or firmer without the hassle and expense of trading in a nearly new model (returning a new mattress often involves shipping and restocking fees, not to mention the logistics of dealing with returning a large item -- though if you buy from an online-only company, that can be less of an issue; see our report on mattresses for more information). Placing a topper on just one side of the bed can also help couples who prefer different levels of mattress firmness. "Mattress Topper Reviews, Ratings & Comparison"
"The Best Memory-Foam Mattress Topper"
There aren't nearly as many expert tests of mattress pads as for mattresses, which we cover in their own report. For foam mattress pads, the testing and research done by Wirecutter was very helpful. In addition, editors at Sleep Like the Dead analyze thousands of owner reviews and break down the data to provide specific information about different mattress topper types and brands. Fortunately, there's an abundance of user feedback at sites such as Amazon and Overstock that helps us determine how a mattress topper performs in actual bedrooms. Our research turns up three main factors to consider when shopping for a mattress topper. Since a topper's job is to improve the comfort of a mattress, we give particular importance to how well each one cushions and supports the body, as well as whether it retains body heat. A good mattress topper also needs to stay comfortable over time, so we examine how well each model holds up with use and whether it needs special maintenance to keep it in good shape. Based on these factors, we identify the best mattress toppers of each type and list their pros and cons. One is sure to be the perfect choice for your best night's sleep.